Australia beat Uzbekistan on penalties to reach Asian Cup last eight. Vietnam are playing against Japan tonight. Think it starts at 8pm our time. Yes, and contrary to what all Vietnamese believe, this will be the end of the road for Vietnam. In the first quarter final match, the half-time score is zero-zero and the match is not over yet. The Japanese team were refused a hand-ball goal. The next match tonight will be China against Iran, with the two other quarter finals tomorrow. 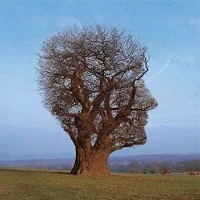 Over now, Japan is through. The Japan v. Vietnam match as reported by Vietnamese media. 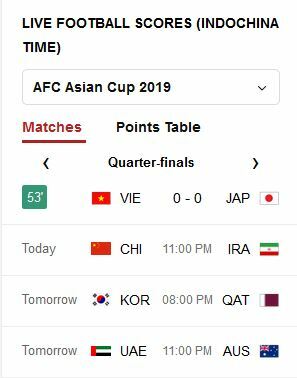 Hanoi (VNA) – Vietnam lost 0-1 to Japan the first quarterfinal match of the ongoing 2019 Asian Footbal Confederation (AFC) Asian Cup, which took place at the Al Maktoum Stadium in Dubai of the United Arab Emirates (UAE) on January 24. However, they were still heaped with praises from fans and commentators for a game described as one of their best so far. The underdogged showed a brave, determined spirit against the giants Japan throughout the match and conceded only one goal from a 57th-minute penalty kick, determined with help from the video assistance referee (VAR) technology. Earlier, at the 24th minute, the technology had its role to play in the referee’s decision to rule out a goal for Japan although captain Maya Yoshida headed the ball to Vietnam’s net, showing that it had touched his hand. After conceding the goal from the spot, Vietnam kept fighting and showed no signs of giving up but created various chances against their Japanese rivals. Vietnam’s head coach Park Hang-seo sent in all of his three substitutes to improve the situation for the side, but the Japanese defenders worked well to keep their net clean. At the opposite end of the field, Vietnam’s goalie Van Lam became a hero of the match with many excellent saves that denied many dangerous shots from Japan. 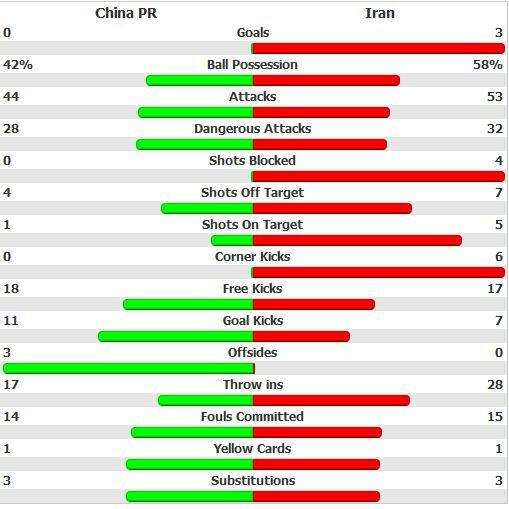 In the second quarter final last night, China was thrashed by Iran. Japan and Iran will contest the first semi-final, and tonight will determine which two teams will compete in the second semi-final match. Final: Socceroos and South Korea. UPDATE: South Korea was beaten by Qatar tonight 0-1. 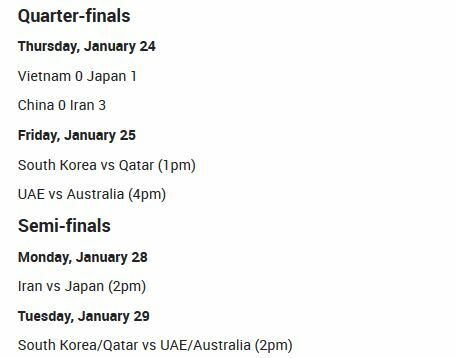 The second semi-final will be between Qatar and either the UAE or Australia. The UAE/Australia match kicks off in about 10 minutes. Ooops. That is why I do not put money on bets. Ive recently moved to PP and im looking for a league or weekly game for football.